Hello loves!!! It feels like I’ve been away from my laptop for so long. I promise I have a good reason: the flu. Yep, I was doing just fine…until Tuesday last week. I left work not feeling well at all that I skipped going to a conference at my church that evening. I felt so cold and ended up with a 102 fever a little past midnight. The next day, I went to the doctor around 4pm and was told I got the flu and couldn’t come back to work until Monday. All this after I had taken my vacation. Yep. You read that right. I haven’t had the flu in almost a decade and spent many hours in bed sleeping. You want to know just how out of it I was? I was so out of it that I missed my own one year blogiversary on Friday! I didn’t realize I had missed my own anniversary until Sunday night as I was getting ready to go back to work on Monday, ha! Honestly, I was so bummed that I forgot! Oh well. That just gives me more time to create some beautiful images for my anniversary post that didn’t go up in time, right? 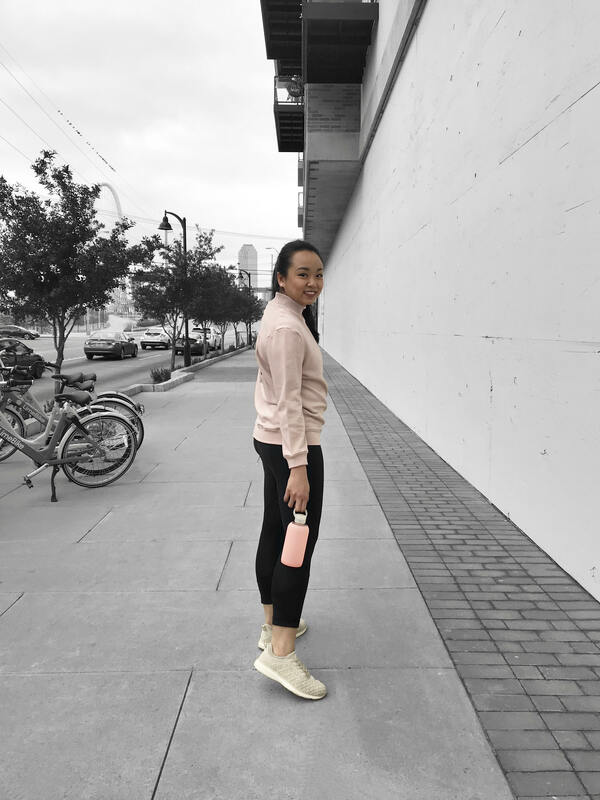 I also missed out on time with my Dallas Fitness Ambassadors and LIVELY family on some events they were doing together this past weekend so I was really bummed because I wanted to see some of my friends and run the silent disco run with them and Ali from the LIVELY team. I was told that I’ll be having my cough and feeling physically tired for about a month before I can feel normal again. However, I’m not letting that stop me from starting on the 12 week BBG Challenge. I’m just going to take mt fitness routine slow. Speaking of, I think I lost like ten pounds just from being sick alone! Not the way I wanted to release weight, but when I’m sick, I don’t tend to eat or drink much. I’ve been like this since I was little. Anyway, I’m SO excited to be back to blogging! I’m going to try and post a little bit more on Instagram and for sure on Pinterest so feel free to follow me on those platforms if you already haven’t. I’m planning for a lot of fun content this year and am going to do more work looks (that aren’t boring, lol) too! Onto today’s look! My bestie snapped these while we were walking around the outskirts of Dallas last weekend. 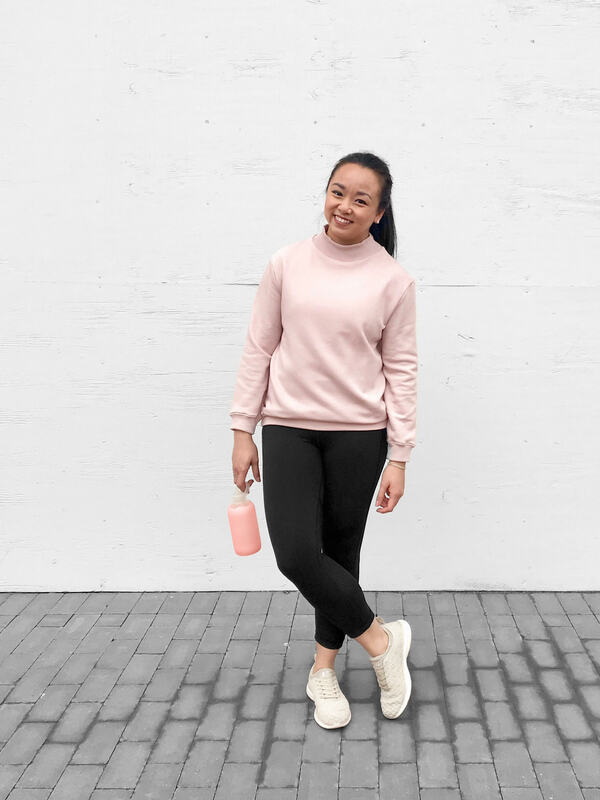 I thought it would be fun to show you what my typical athleisure outfit looks like. 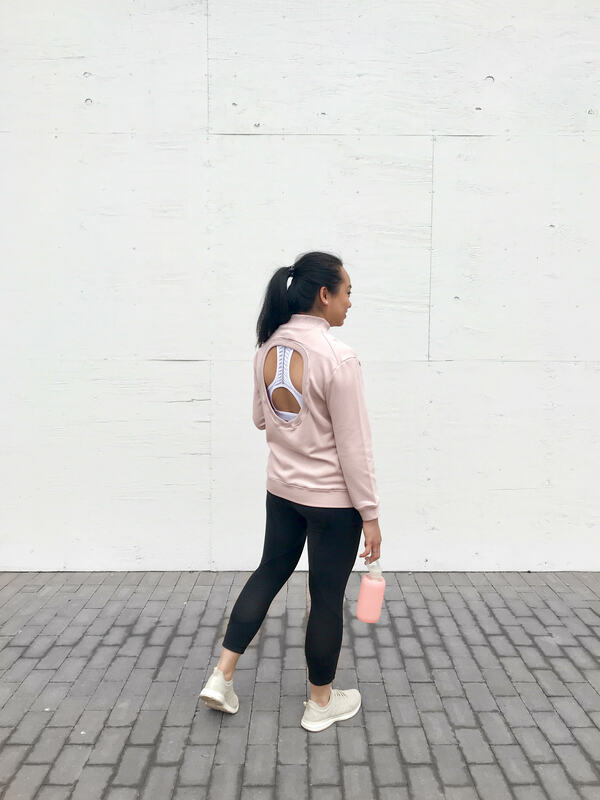 Obviously, it was a no-brainer to nab this blush open-back sweatshirt (got it on sale last year, but it’s back in stock). My beautiful sports bra is from a Lululemon Warehouse sale last year and these pants from LL were a birthday gift from my brother about two years ago. These APLs give me life, y’all! Usually the bottom of my feet hurt when I work out so I have to stop and flex my feet to reduce the pain, but not in these babies! I like my Nikes, but I’m NOT saying no to APLs. Ever! 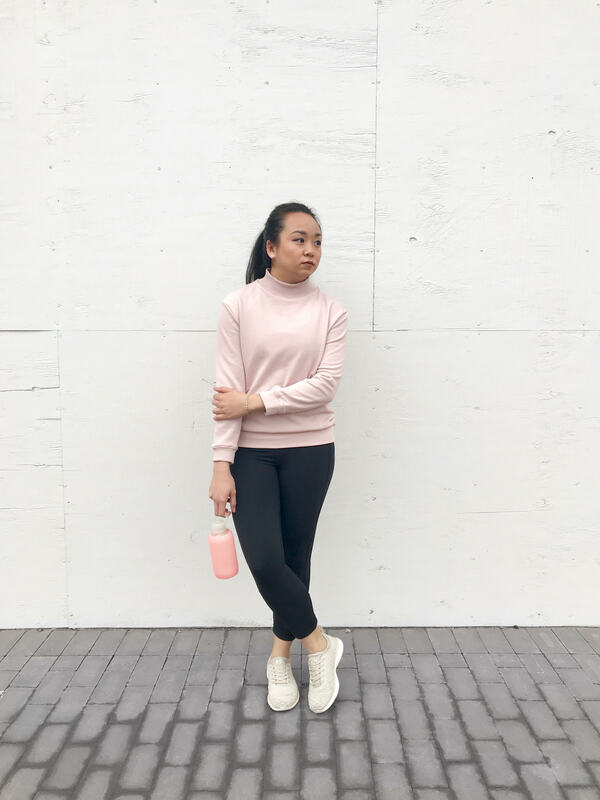 I love the athleisure trend a lot so you’ll be seeing more of these kinds of looks coming to the blog this year! 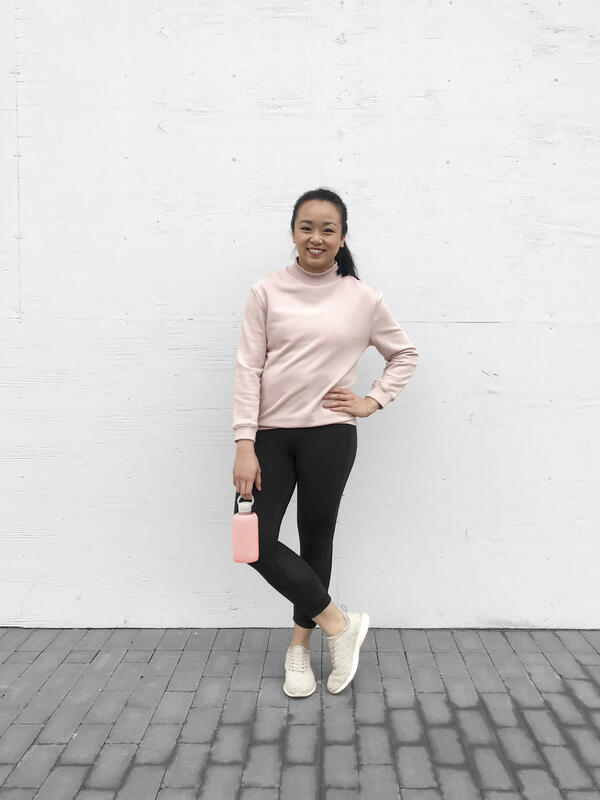 What do you think of the athleisure trend? What are your favorite work out brands? I heard Sweaty Betty and Gibson Girl are good! Let me know in the comments below! Remember my surprise announcement I was going to tell you about? You have to wait until Friday since I’m trying to figure it all out after being sick almost a week! 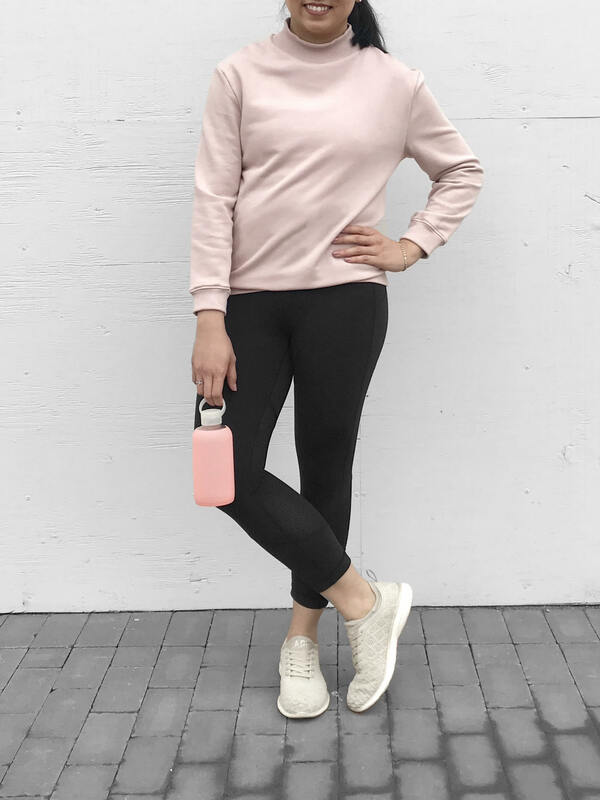 2 Replies to "Athleisure Style + Life Updates :: Open-Back Blush Sweatshirt & APLs"
I am so glad you feel better and are back to doing what you love! I love this look! You look so comfortable but you could also go for a run/walk at same time! Sorry, you missed out on events but again glad you feel better. Oooo ooooo APLs rock I totally agree! They make me want to workout because they feel good and look great! Thanks, Rachel!!! I’m glad to be feeling better too. Although I’m still tired, I’m just happy that stuff is behind me. I’m happy to hear you like your APLs! I’ve probably started an addiction for you, haha!